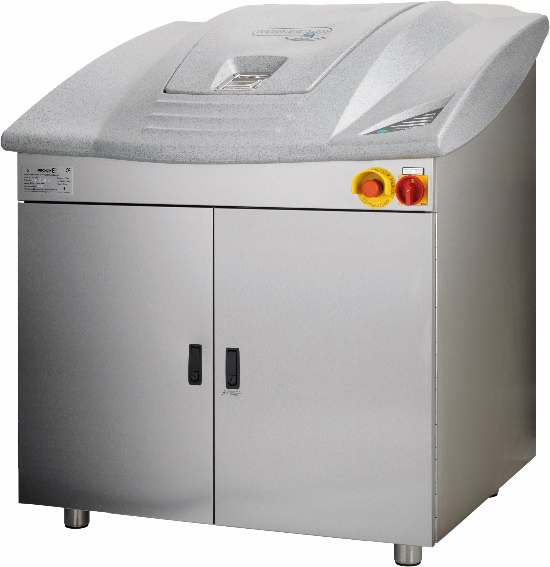 Mechline is the manufacturer and holder of the trademark and patents for the WASTE2GO food waste bio-digester. It digests up to 400 lbs of organic food waste to waste water over a 24-hour period. The waste2go is an operationally friendly, low carbon footprint, on-site, affordable food waste management system that is sustainable, environmentally responsible and commercially viable. WASTE2GO in 24 hours, soft, organic food waste is reduced to waste water – safe for drains and sewers. No solids to manage. 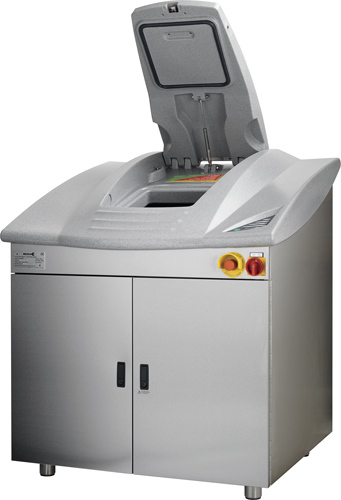 WASTE2GO is easy for operations and waste2go has low labor requirements. Step 1: Food waste is added to the waste2go through the chamber through the hatch. Step 2: Microorganisms digest food waste while starting the breakdown of fats, oils & grease (FOGs). Step 3: All soft food is digested. Waste water is the only output, no solids to manage. Just add food waste and let Waste2go do the rest. 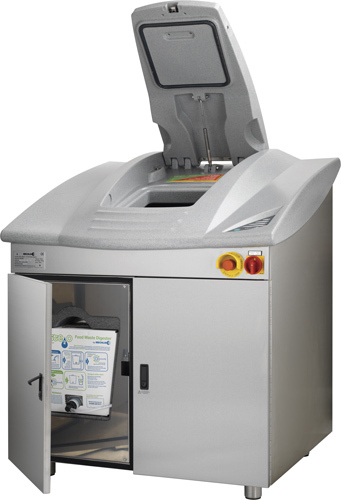 Aerobic microbial activity converts all soft food waste into waste water that is safely sent straight to the drain, using existing services – saving you the hassle of dealing with solid food waste. No need to store food waste, reduces odour and vermin problems and reduces what goes to landfill. Less food waste to transport takes trucks off the road and improves an operation’s overall carbon footprint. Fewer collections save money and are better for the environment. Improved waste stream management leads to better return on recyclables. WASTE2GO reclaims the water inherent to food waste (approximately 70% of food waste is water), safely returning it to water treatment plants-meaning water is not lost to landfill or incineration. The optional Volume Sensor gives operations an effective management tool to track and monitor food usage to prevent and reduce food waste. Copyright © 2008 - Sybertech Waste Reduction Ltd. All rights reserved. All rights reserved.